When traveling overseas, don’t forget this essential item! 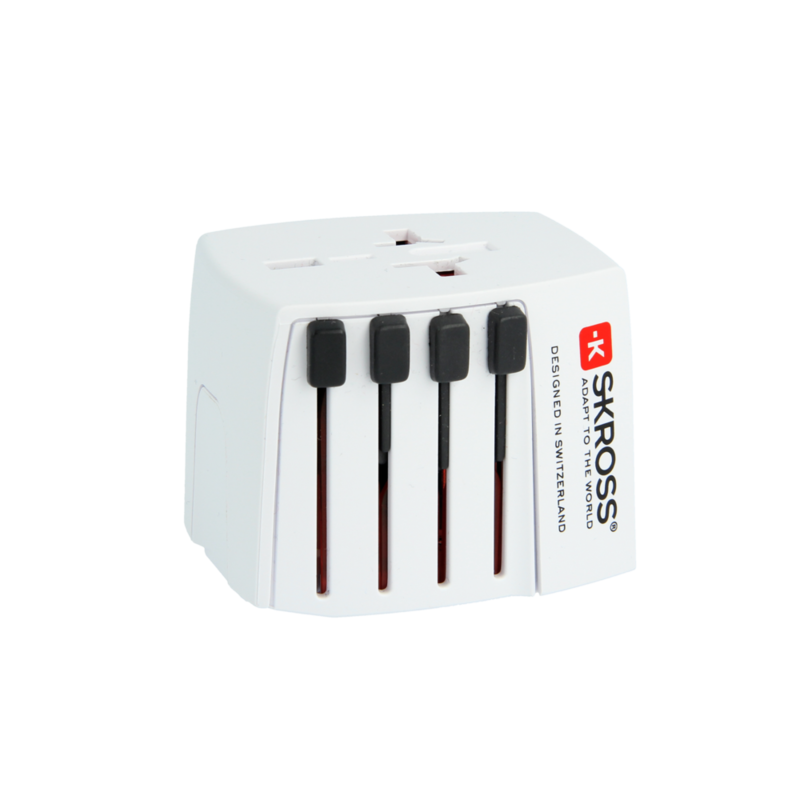 It’s a travel adapter, and the folks at SKROSS have just the one for you. Their World Adapter MUV USB can be used with any 2-pole device in over 220 countries, from Afghanistan to Zimbabwe. On one side of this little box are sliders that push out the necessary pins which then lock into place. Thankfully, these pins are long enough to get a solid connection in even those recessed outlets that some countries have. To retract them, push a release button on the other side, and return the slider to its original position. Simple and easy! On top of that are 2 USB charger modules which are ever so handy – perfect to plug in your smartphone, portable charger, camera, tablet, and more. The adapter can handle voltages ranging from 100 to 250 volts. So next time you are heading out in the world, remember your SKROSS World Adapter MUV USB!